10 1/4 by 14 1/2 in. Koekkoek renewed the genre of Dutch Romantic landscape painting, which had been established by the seventeenth-century masters (Hobbema, Cuyp, Ruisdael and Wynants), with his meticulous exploration of the Rhine region in Germany, where he moved in 1834, its hilly landscape, lush forests, medieval castles, and country surrounding the village of Cleves soon became the source of inspiration of his masterpieces. The present painting dates from 1855, at the time of established fame and development of his artistic quest for the ideal romantic landscape. Koekkoek applied in this painting the principles he elaborated in his book Herinneringen en Mededeelingen van eenen landschapsschilder published in 1841, painstakingly detailing the trees and the leaves’ variegated colors created by the fleeting sunlight. 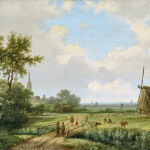 This panoramic landscape is set in a beautiful sunlit summer in the Netherlands. 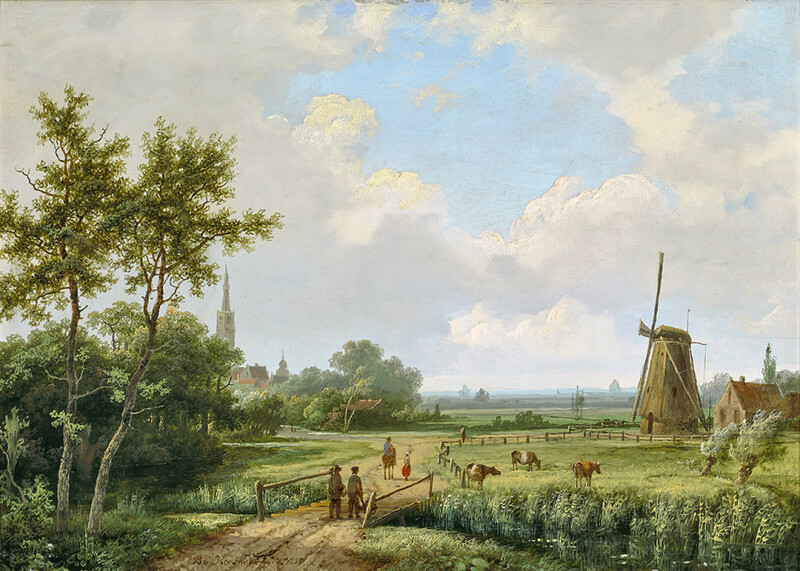 The path in the foreground winding its way diagonally into the distance leads the viewer toward the horizon, while its fork at the center of the composition takes the observer either to the left toward the nearby village, or to the right, at the bottom of a windmill. 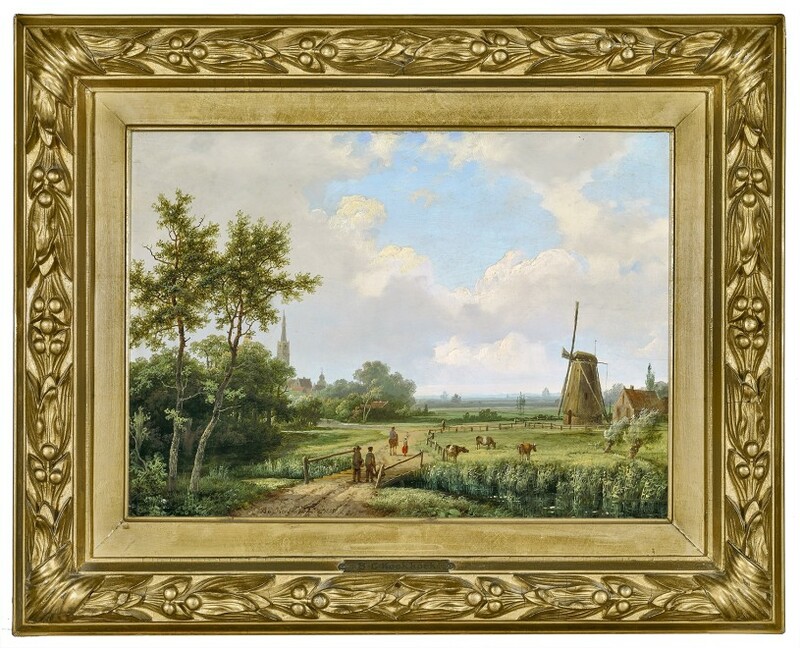 This windmill is characteristic of a Dutch landscape and somewhat inspired by the ones found in the south of Holland, in reality, this specific shape never existed. 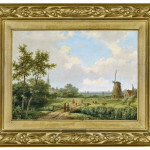 Rather Koekkoek depicted an imaginary windmill in a realistic way as a reflection of his romantic vision. The representation of a disproportionate windmill dominating the villagers walking on the path amplifies the dramatic effect of the almighty nature on humans. Although this painting is set in the Netherlands, which lacked “rocks, waterfalls, high mountains or romantic valleys” to make it sublime according to Koekkoek, the master successfully translated his romantic imaginary to a Dutch-inspired landscape, owing perhaps to his mature years.